The nationalization of Privatbank is one of Ihor Kolomoyskyy's main complaints about the current government. He will definitely try to settle the score in one way or another when power changes. Preparations for this began long ago. On 18 April, the District Administrative Court of Kyiv, chaired by controversial judge Pavlo Vovk, will probably announce a decision declaring the nationalization of Privatbank illegal. The case has been heard behind closed doors since June 2017. It is possible that the announcement of this verdict will be postponed until 22 April (the day after the election, which we will discuss later), but this will not change its essence. "Unfortunately for us, the decision will be absolutely legal," says one of the members of the incumbent president’s team. "You can hardly find a single qualified lawyer who would say that it is fabricated, "far-fetched". He explains: at the stage of nationalization, the National Bank of Ukraine often acted "on the verge of authority" (verbatim quotation - LB.ua). A good example could be its transactions to write off the accounts of "related entities". To be more precise, $250m of the Surkis brothers in the Cyprus branch of Privatbank. The National Bank considered them "related" since the Surkis brothers — and this is no secret — are the beneficiaries in a number of Kolomoyskyy's projects. However, European justice has its own opinion on this: if they were majority shareholders (in the same projects, for example), they would influence strategic decision-making – if this were the case, it would be alright, otherwise – go to court and cite the Ukrainian Constitution which expressly prohibits the seizure of property without a court decision. And now the X hour is here. Why do two dates get mentioned in relation to the future verdict by judge Vovk? The publication of this resolution in principle does not benefit the incumbent president's team. An ideal scenario would be to be buying time infinitely. But judge Vovk seems to have already made up his mind on his own (although there are always ways to retreat). In principle, it can be understood. Having headed the court for 12 years, he managed to make a lot of enemies. Therefore, he is interested in "presenting" himself to the new authorities from his "best side". At the same time, he risks getting "whipped first" as a traitor (if there is no change of power). Interestingly enough, a small delay would also benefit Kolomoyskyy's side because they are afraid that while Poroshenko is in the office, he will be able to "rewind". Their "dispute" will obviously be resolved by judge Vovk as now everything depends on him only. However, the case being considered by the District Administrative Court is not the only trial between the state and the former shareholders of Privatbank: the litigation between the National Bank and the ex-owners of Privat has been going on both in international (Switzerland, London) and Ukrainian courts (Kyiv and Dnipro). They concern both the process of nationalization as such and its individual episodes, including the arrest of personal funds and funds of companies affiliated with Privat Group. In December 2017, Privatbank filed a lawsuit with the High Court of London against Ihor Kolomoyskyy and Hennadiy Boholyubov, as well as companies affiliated with them. 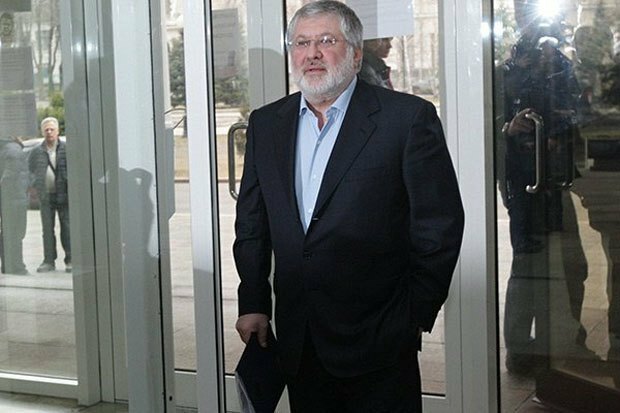 As an interim measure, the English court issued an order for the worldwide arrest of assets owned by Kolomoyskyy and Boholyubov worth more than $2.5bn. But soon the Court of London decided that it had no jurisdiction to hear the claim on merits. Privat's appeal on merits will be considered by the Court of Appeal of England and Wales. The funds are still under arrest until an appeal is heard. In Switzerland, the National Bank is suing Kolomoyskyy over the UAH6.64bn debt on refinancing loans. Ukrainian courts are considering over 150 lawsuits concerning Privatbank filed by both sides. Ihor Kolomoyskyy and his partner Hennadiy Boholyubov also appealed against the bank's nationalization to the Kyiv Economic Court through Triantal Investments. The company is trying to invalidate the purchase and sale of Privatbank shares by the Finance Ministry and challenge the results of an unscheduled audit of the institution by the National Bank before nationalization. The results of this audit became the basis for making a decision on the bank's insolvency. The court returned the claim to the applicant to correct the inaccuracies. Ukrainian courts took a number of interim decisions on Privatbank-related cases. For example, at the end of 2017, Kyiv's Solomyansky district court prohibited companies that were investigating the withdrawal of funds from the bank from carrying out any activity related to the investigation of possible fraudulent schemes. Judge Lyudmyla Kizyun lost her job over this decision. 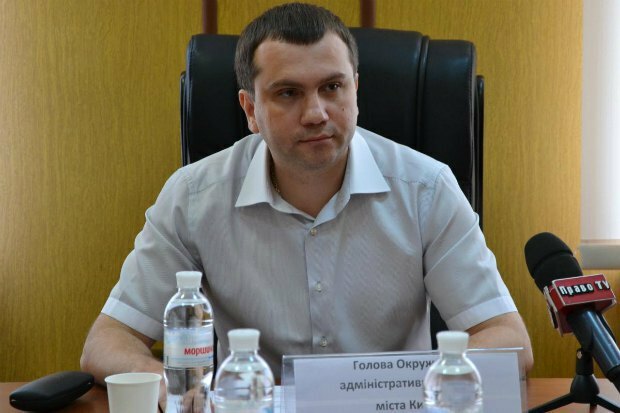 And on 22 March 2019, Kyiv's Pecherskyy district court imposed a new arrest on the assets of a number of companies that are directly and indirectly connected with Privat Group. 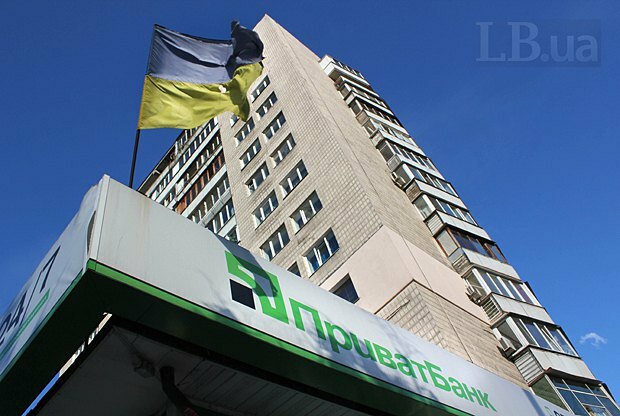 The decision was made in the framework of criminal proceedings on the possible withdrawal of UAH19bn of refinancing received by Privatbank from the National Bank of Ukraine before nationalization. Two billion in "moral damage"
Of course, Kyiv's District Administrative Court is only the first instance. It will be followed by the second one, a court of appeal and the Supreme Court. It will take at least six to seven months. At least. But most likely this is going to be a year or more. A lot can change in the country in the course of a year. For example, the likely winner of the presidential election will significantly increase his influence on the Supreme Court (for which Zelenskyy’s team is now actively preparing without really hiding their intentions). This is also true for his influence on the High Justice Council and the High Qualification Commission of Judges. That is, on all the "three whales" on which judicial reform rests. Yes, a lot depends on who is going to replace Oleksiy Filatov in the presidential administration. But then again: as of today (timing is important) the risk of "rewinding" judicial reform is very high. Is it possible that, if the Supreme Court decides so, Privatbank will be returned to its former owners? All our interlocutors assess this probability as extremely low. The state has already fully entered into the ownership of the bank and the process is almost irreversible. Amicable agreement is a different issue. As a subject to it, the state must be represented by the National Bank (whose head is appointed by the president). Then it would require a resolution of Cabinet of Ministers to compensate the losses at the budget expense. Will this suit Ihor Kolomoyskyy ? On Monday, he put it bluntly in an interview with Economichna Pravda that he is no longer interested in Privatbank and that the oligarch wants to receive monetary compensation from the state in the amount of $2bn. Interestingly, Kolomoyskyy’s statement on Privatbank is the first public comment after his protege won the first round of the presidential election. Thus, in fact, this is the beginning of the announcement of the list of wishes/demands of Ihor Kolomoyskyy as a probable winner. Or is it the formation of a position in negotiations with the current government? Both sides have issue to discuss, there is something to offer and compromise options can be quite unexpected - as regards the questions of who owes what and how much (as we have mentioned above: the NBU demands that Kolomoyskyy and Co. return UAH19bn of the refinancing loan received in 2008-2016) as well as political issues. Moreover, in addition to Privatbank, Kolomoyskyy and Ukraine have several other problems for discussion. Ukrnafta, for example. Of course, the picture will not be complete if one discards another side of the process. 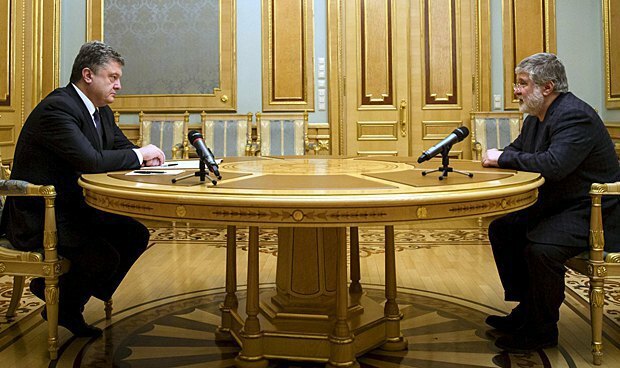 Only naïve people can believe that the dispute over Privat is a personal confrontation between Ihor Kolomoyskyy and Petro Poroshenko. Americans have always been the third side to this triangle. Do not forget: Kolomoyskyy signed the agreement on nationalization with his own hand. Before this, he had spent 100 minutes in the US embassy. What he discussed there and with whom remains a mystery even for his closest circle, but his mood when he was leaving the office was not good. What followed was a famous evening in Bankova Street [where the president's office is located]. Finally, there is another important point. 2019 is the peak year of external debt payments: Ukraine should pay back as much as $14.2bn to creditors. Without IMF help, we cannot do this. The condition of one of the systemic state banks and the prospect of a possible payment of $2bn compensation to Kolomoyskyy will only aggravate the situation. It may create problems for Ukraine with receiving the planned loans in May and November 2019, which, logically, may affect the exchange rates and the economic situation in Ukraine. Not to mention such trifles as the rating of the political project called "Servant of the People" [reference to Zelenskyy and his role in the eponymous TV show] and everyone who joined it.